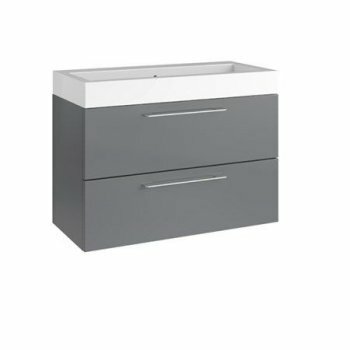 On display in our showroom we have this 2 drawer wall hung HiB Tranquil basin unit. 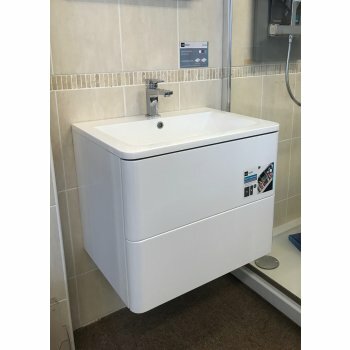 On display in our showroom we have this HiB Glyde 2 drawer push to open white gloss basin unit and mineral marble basin. 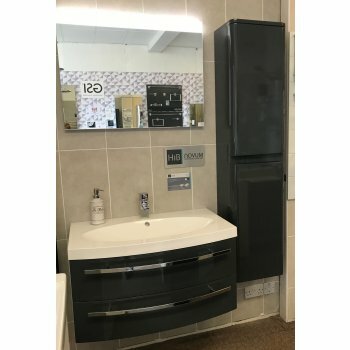 On display in our showroom we have this HiB Beau 2 piece set comprising of 80cm mineral marble basin, anthracite 2 drawer wall hung unit and matching tall storage unit. 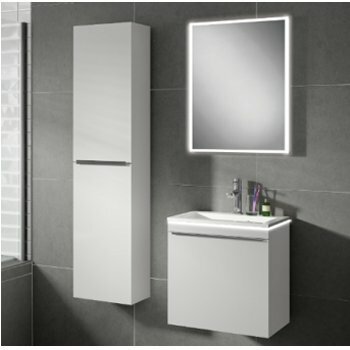 On display in our showroom we have the HiB Novum Prima Mineral marble basin and matt light grey unit.